- Electronic Bed Scale, a pieces of high precision equipment, which allows bed ridden patients to be weighed simply & gently. 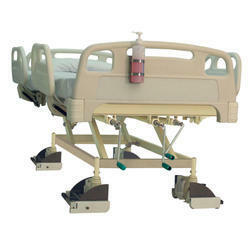 - Bed Scale is used primarily, in the Hospitals & Dialysis centers, in accordance with the national regulation. We are engaged in manufacturing and exporting a wide range of bed scale.